Open grasslands occur in places that burn very frequently. 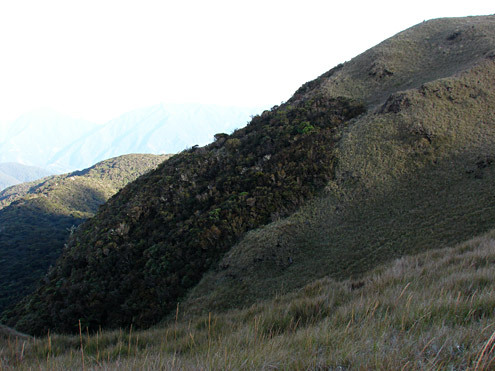 In some places at middle elevations on Luzon and Mindoro, especially on steep slopes, pine trees will grow sparsely in the grassland (see "pine forest"). 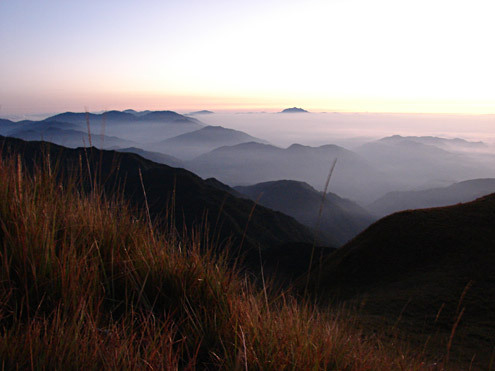 In lowland areas, the grasses are usually “saw-grass”, especially cogon and talahib. On the peaks of some of the highest mountains, most notably Mt. 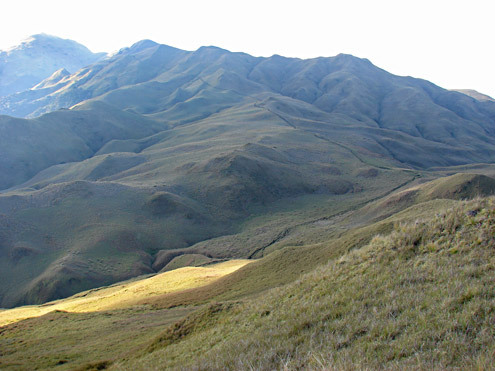 Pulag in the Central Cordillera of northern Luzon, grasslands above about 2700 m are composed of dwarf, viney bamboo and grasses. There is often an abrupt boundary between mossy forest and grassland in such places, determined by the extent of fires in recent years. 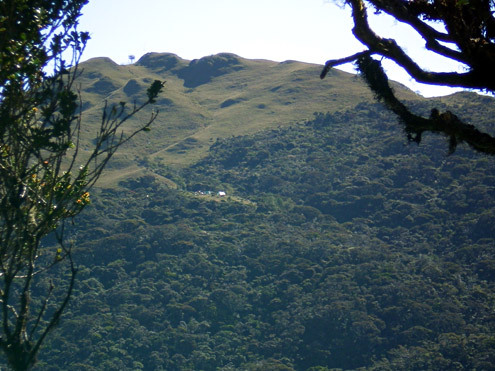 When fire is suppressed in grasslands, broad-leafed vegetation gradually returns, assisted by various animals (primarily bats and birds) that disperse seeds. Most open grassland is very unproductive for any agricultural purpose, and provides habitat for very few native animals.